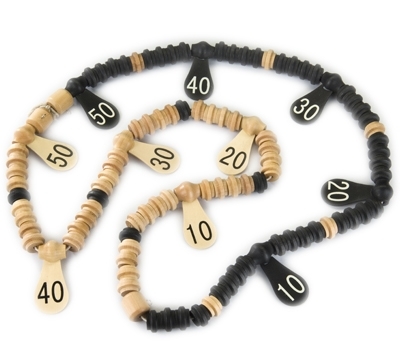 Keep score with this authentic, old time score marker set. Conveniently hangs above your table. Oversized 1.25" beads, 5 feet in length.